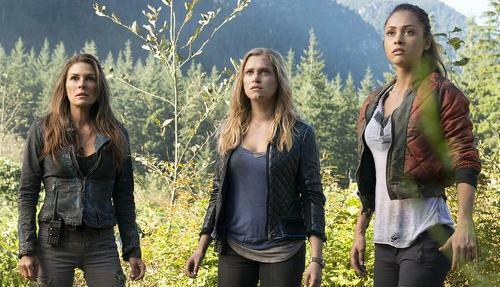 Last week was the season finale of "The 100" on The CW! Was it good? I'm very behind on watching this season...but I do love the show. I love all scifi, and what an amazing cast! Even if they do keep killing them off..LOL! I fell behind again and didn't post last week! I thought maybe I should do a video blog instead of a regular blog. We'll see. Here's my first post in my Video Blog. Hope you like it! On the weekends, I don't watch as much TV as I'd like. Instead, I work on the site quite a lot. I've been getting new volunteers to help me with our weekly Primetime News and Schedules pages. Yay! That's a lot of work, so it's good to have help with it. The first volunteer, Richard, decided it was too much work (and really, I don't blame him). I think it was just too much to learn at once, though. After awhile you get the hang of it and it's not too hard. There's a new volunteer now, Angie, and I'm going much slower with her, so hopefully she will get it and it won't be too much for her. This week's Primetime News and Schedule page is here and next week's will be here. There are a lot of new TV shows on! 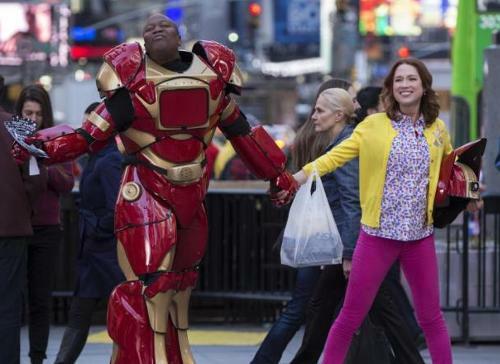 I watched the first episode of "The Unbreakable Kimmy Schmidt," which I think I mentioned last week. It's kind of cute. Our volunteer Eva will be watching the Netflix shows for our page. We also got another new reviewer, Adela, who's starting soon, hopefully! She's been having technical problems. We review all of the shows on our Primetime Reviews Page. I caught up recently on the past two episodes of "Once Upon a Time". That's always such a great show. One of my very favorites. I love all of the characters, although my favorite is probably Mr. Gold. I wonder how Snow helped kill Maleficient's baby? I look forward to seeing the Dark Emma. It's pretty unrealistic of her to think that her parents will never lie to her, though. I know it's a fairy tale, but still! She's supposed to be the realistic one. Speaking of that show, someone had posted about Cinderella on Facebook, and it made me wonder, why didn't they do more with that character on the show? She's one of the major Disney princesses of the past. I guess an Ugly Stepmother is not as scary as the other Disney villains. They did steal the name "Prince Charming" from that story. Snow White's prince didn't have that name. I've watched every episode of OUAT, but sometimes my memory about the details are fuzzy. I can't remember, why can't they leave Storybrooke? Why doesn't anyone go back to the Enchanted Forest any more? I remember they were all sent back to the forest and had their memories wiped, and then somehow they came back to the town, but my memory is really hazy on all that happened between the Oz stuff and the Frozen stuff! I've been doing a lot of interviews lately! I had two tentatively today but one was canceled and I guess they just snubbed me on the other one. Boo hoo! Sometimes they decide my site is not popular enough to bother with. Well, who needs them, anyway? Nobody was offering me interviews back when we got over 300,000 unique visitors a month! Maybe if they had, I would get a lot more hits now! But honestly, I think it has a lot more to do with the fact that not as many people watch TV as did 10-20 years ago. Also, there are just so many great TV sites out there now to compete with. Our site is all fan-run. We have no budget. All of the money we make from ads goes back into the site. So please do help us out and visit here as much as you can, and tell all of your friends and family to do the same! All of our work is from unpaid volunteers, like me. 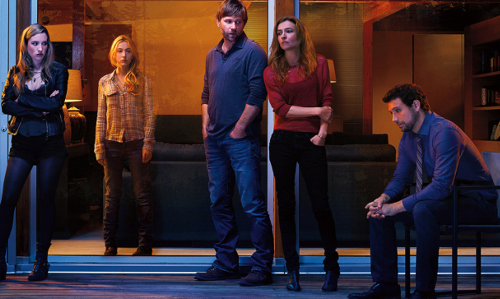 I watched 4 episodes of A&E's new show "The Returned", which debuted after "Bates Motel." It's based on a French movie and TV series, "Les Revanants." Not to be confused with the ABC show "Resurrection," which is based on some books called "The Returned." LOL! Very confusing. Both are about people who've come back from the dead, but they're different stories, set in different times. The shows are excellent. They're just riveting and make me want to binge-watch more. Too bad I only have 4 episodes to watch! It's got great actors that I love, good writing, lots of mystery etc. I still don't know if the people are zombies, or ghosts or what! I probably shouldn't have watched it before going to bed, though...it gave me creepy nightmares! I also watched the next 3 episodes of "Bones", which starts back next week. It's still such a good show. I got to interview Emily Deschanel, and the show's producer Steven Nathan. It's always great to speak with them. The first episode, next week, is about psychics, so Cyndi Lauper guest-stars. Also, they deal some more with Sweets' death. Nice that they haven't just forgotten about him. Where's Daisy, I wonder? Also, will they ever do a story about Ralph Waite's death (he played Booth's grandpa)? Anyway, in the second episode, Brennan learns how to tweet! It's kind of funny, but it's also about an inner-city teacher getting murdered. There are some great scenes with Caroline. The third episode is about an ex-con who's murdered, which hits close to home for Booth. There's also a lot of great stuff between Cam and Arastoo, and it's sad at the end! I try to post our soap spoilers every Monday (it doesn't always work out, though) on our newsletters and forums. I got a card a few weeks ago, telling me to expect a Nielsen ratings survey. What fun! This is how the Nielsen people get their TV ratings. They send you a log and then you write down what you watched every day. It's very old school. You'd think they've have it digital by now. Anyway, it's exciting. I've done it before, though. Last time it was in July so I'm glad it's during the real TV season this time. I can actually tell them good shows I'm watching. Woo hoo!! I got a follow-up survey, asking me about TV in general, so hopefully I will soon get the actual Nielsen log book. Now I'm watching the new show "Battle Creek", which is interesting. I love Josh Duhamel! It's weird to see him play a different role. He's usually the laid-back guy, but in this one, he's kind of a weirdo. He's good, though. I was watching Monday's "Days of Our Lives" because, for some reason, one of my DVR's just didn't record anything that day. So I'm transcribing it, slowly but surely. Anyway, I can't believe how skinny Kristian Alfonso looks. She's always been skinny, but she looks skeletal now. I hope she's okay. Too many actress, especially over a certain age, starve themselves too much and work out too much. You'd think that by now, they would all know better. This is what she used to look like in the 80's. Much younger, of course, but I'll bet she thought she was fat back then (even though she sure wasn't). Although I no longer watch the soaps regularly, I'm looking forward to the April anniversary episode of "General Hospital!" They're going to flashback to the 1960's and the actors who play current characters will be playing the older ones like Dr. Steve Hardy and Nurse Jessie Brewer! That sounds like great fun. There's lots of interesting news coming out right now. 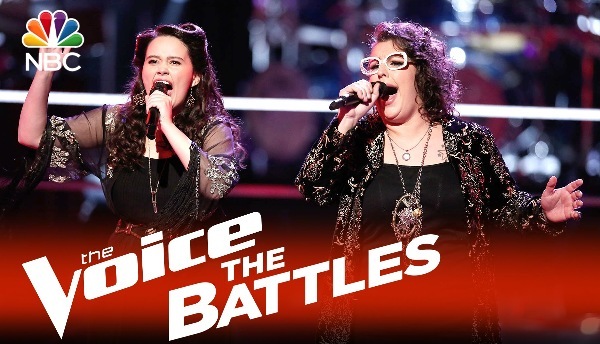 You can hear about a lot of it on our Facebook group Talkin' TV! Former "Young and the Restless" and "Diagnosis Murder" actress Victoria Rowell is suing CBS and Sony because of their treatment of her and other black actors and crew. 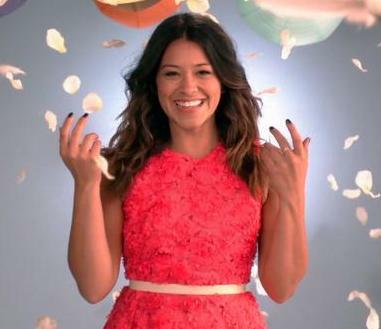 Now, she's the type of person that you tend to either love or hate, but even if you can't stand her, or whether you think her lawsuit has merit, most of us can agree with her that it's an "abomination" that they don't hire enough people of color on TV, particularly behind-the-scenes people (and especially on soaps). She should be commended, even honored, for speaking out. It's not just African Americans, but all people of color. Look at the shows on your TV. 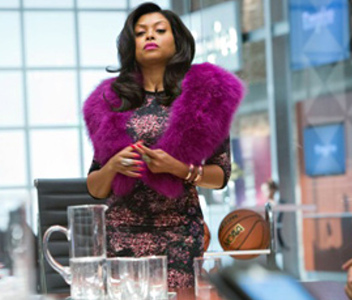 Sure, they finally have a few shows starring African-American women, and that's awesome. They have ONE show with some Asian people (maybe the first successful show ever about them). As for Latinos, cable has "Devious Maids", which, although it's produced by Eva Longoria, has been criticized because all of the Latinos are maids. Then again, there aren't very many good shows about women, either. There's only one "cop show" that I can think of ("Rizzoli & Isles" on TNT). There are tons with just men, or mainly men, or both genders. The best news about the new Wednesday night line-up on ABC is that they star strong black women, and other women as well. Still, there needs to be more. I'm glad that TV viewers think that women make good lawyers, doctors, and political consultants, at least. Still, things are a lot better than they used to be. We had some female shows when I was growing up, but most of them were about how the woman had big chests and ran around so you could see their chests jiggle. 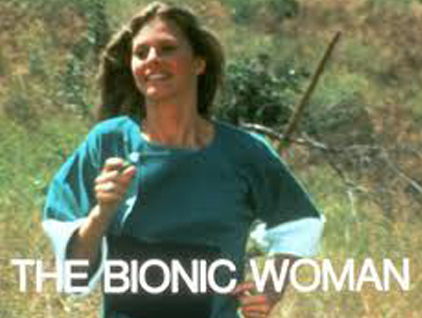 For every "Bionic Woman" or "Police Woman", you also had "Charlie's Angels" and "Wonder Woman". Don't even get me started on sitcoms like Three's Company! We did have Mary Tyler Moore, but things didn't really get better until "Cagney & Lacey." This week's "Castle" was great as always. Two former "Star Trek" actresses (Rosalind Chao and Linda Park) guest-starred on it. It almost seemed like a spin-off episode for the Hong Kong detective. That would be a great show. 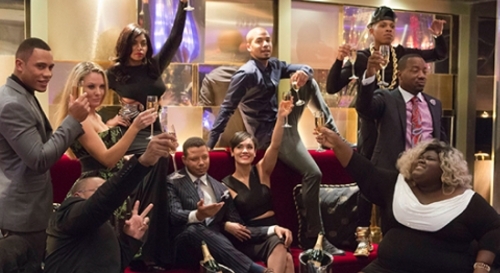 I know everyone loves the new show "Empire," and it's indeed great! I've been lucky the past few weeks to interview some of the actors. I'm a little behind on watching it, but I've enjoyed it so far. I can't believe it's already over for the season. That was short! I do have one opinion about it, though... people have been comparing it a lot to "Dynasty" and the original "Dallas." In part, that's because it's a really good soap opera. Also, because Blake Carrington on "Dynasty" didn't approve of his son being gay. However, neither Blake (or Alexis) or J.R. ever killed anyone (Blake DID have a fight with his son's lover, and the guy died, but that's manslaughter at best). They were not "good people", but they weren't killers. They may have even broken laws, but we often rooted for them because they were not "that bad" in many ways. They loved their families, even if they often tried to manipulated them or screw them over. Lucious, the protagonist of "Empire" is a killer. He may not be entirely evil, and we do feel some sympathy for him because he's dying, but otherwise he's far worse than either Blake or J.R.
Not only that, but Blake was against his son being gay back in the early 80's, when MANY people were prejudiced against gays (or "homosexuals" as they referred to them on "Dynasty"). Not that bigotry is ever understandable, but it was a different time, and people were more ignorant than they are now. 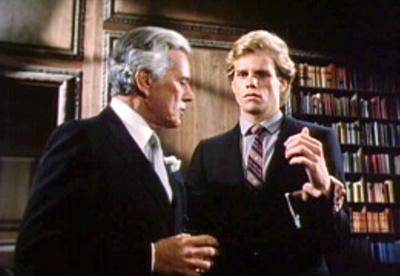 Even the show "Dynasty" was not comfortable with the gay storyline. We can tell that because Blake never went to prison for the death of his son's lover, and they strongly hinted many times that Steven was gay because Alexis was his mother (because she was so strong, never mind that she was also Adam's mom!). And lastly, later on in the show, Steven was bisexual instead of gay. He had many more women as lovers and wives, than he ever had gay male lovers. They were clearly not comfortable just having him be gay. Kudos to "Empire", then, for not being so ambiguous in their story. For Luscious to be a homophone now is a lot more horrifying and shows a much deeper form of bigotry than most people ever have on other TV shows. That makes Luscious a villain, not a hero, as much as they want to make him the focus of yes. And yes, it is realistic, I'm not denying that. Also, Cookie may have many fine points, but she and Luscious are also drug dealers, and she had someone killed in an episode, so she's just as bad as he is, when it comes down to it. No one on those old soaps were as bad as either of these characters. That shows how much TV has changed because nowadays most shows don't have heroes. If they do, the heroes are deeply flawed. Personally, I prefer the heroes, which is why I like superhero shows way more than than the other types. They still usually have real heroes (aside from "Arrow," where he was a killer the first season, but at least he did realize that he shouldn't be. His friend died, and that made him figure out that killing was wrong). I guess I'm just too old to want to see the "bad guys" as protagonists on my shows (even if the shows are really well-written). I'm all for more realism, and characters should definitely be well-written and three-dimensional. They don't all have to be good guys or perfect. However, there do need to be SOME good guys, and they need to be the stars of the show. Villains should not be the stars. But, what do I know? Maybe people want everyone to be villains now! Speaking of "Empire," they should hire Victoria Rowell to be on the show. She would be AWESOME!! 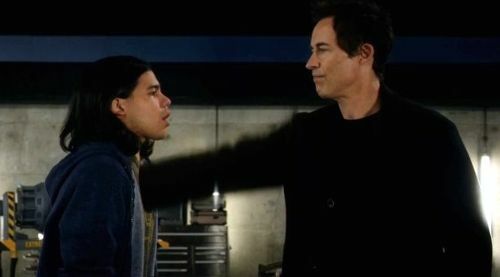 Speaking of heroes--Wow, this week's "The Flash"! It was mind-blowing, especially the end. The reveal of Harrison's secrets, Cisco's death, time travel, Iris's revealing her feelings...so much great stuff. I'm looking forward to the return of "Hot in Cleveland" this week! Woo hoo!